Beautiful apartment of 50 m2 for sale ! 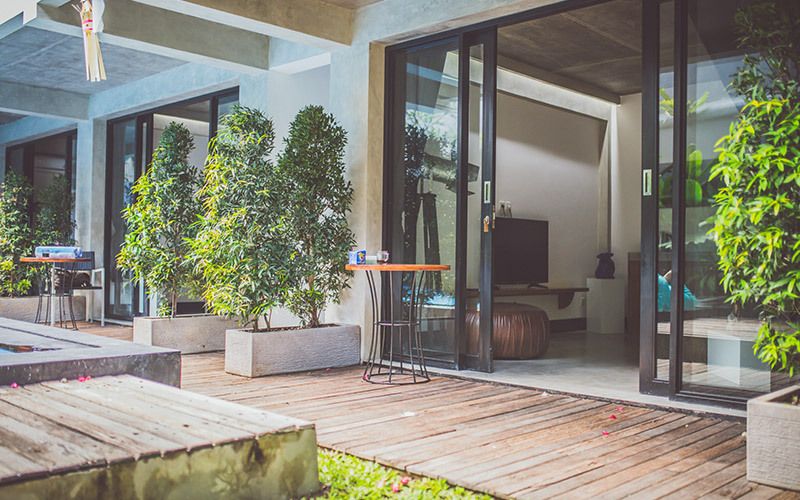 Located in the quiet area of Kerobokan, the property is only 5 minute-drive from the center of Seminyak. It is placed on the second floor with a spacious balcony, having view to the garden and swimming pool. Featuring gorgeous wooden material on the floor and high quality teak wood on its furniture, this apartment brings the sophisticated touch through its style and decoration. The property is composing of the living area, equipped with comfortable couch and TV set, bedroom space and a bathroom.